The increasing interest in books as cultural artefacts means that some which have previously been thought of little consequence now find themselves on the shelves in Special Collections. Unlike traditional ‘rare books’ often characterised by their pristine condition, some of these books will have led harder lives and as a result have stories to tell about their manufacture and use. One criteria for transfer is survival. Older books provide not only physical evidence of developments in book production but also show contemporary cultural and artistic influences. At Southampton books printed before 1850, the products of the hand press era, are routinely transferred to Special Collections. Elsewhere this date has advanced to 1860 and even 1900 in order to preserve examples of late 19th-century developments in printing. The output of small presses, examples of extremely large or extremely small books and those with distinctive bindings and illustrations are also important in showing aspects of book history. Through their post-production life – the bookplates and annotations – books also reveal evidence of their past ownership and use, an expanding area of research and study. Some examples of books added to the printed special collections help to show the changing nature of rare books. China: Political, Commercial and Social in an Official Report to Her Majesty’s Government by R. Montgomery Martin (London, 1847) is a book which not only fulfils the criteria of having been printed before 1850, but in retaining both its bookseller’s label and its Southampton Reading Society circulation label provides evidence of its past use. With none of today’s concern for privacy, the names of all those who borrowed the book are listed, displaying the reading tastes of the members of the Society. 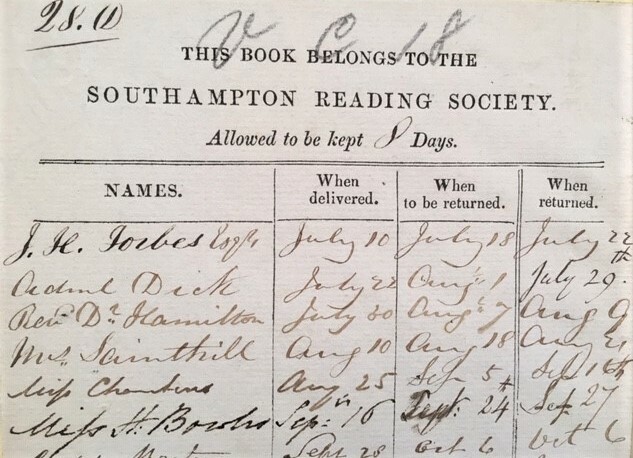 A step up from the circulating library, the Southampton Reading Society, ran from the early years of the 19th century to 1863, when it donated its stock to the Hartley Institution, the forerunner of the University. 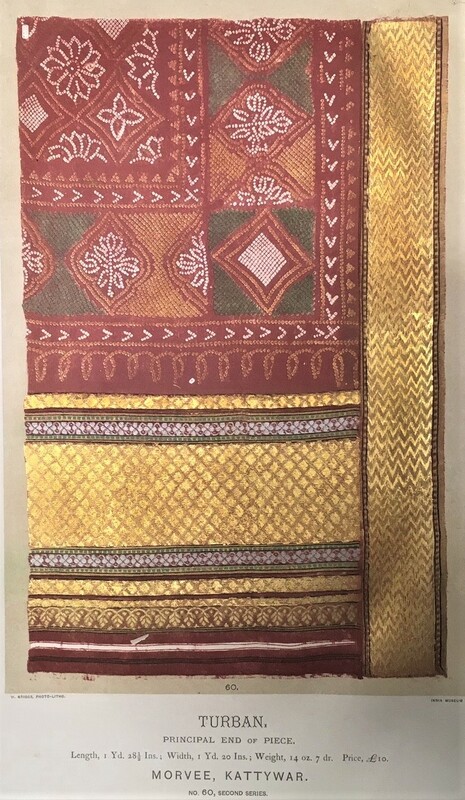 Illustrations of the Textile Manufactures of India (London, 1881) was also part of the Hartley Institution’s Library and retains a label recording it as being on a deposit loan from South Kensington Museum since December 1881. The book contains beautiful illustrations of Indian textiles, such as designs for turbans, clothes, scarves and mats, based on the items bought for the Victoria and Albert Museum by Caspar Purdon Clarke. Commissioned to find examples of objects in everyday use, Clarke returned with over a thousand items, which were intended to provide models of good design for both manufacturers and students. Another book which has made its way to Special Collections is notable for its distinctive cloth binding which is still in good condition – suggesting it was never part of the general Library stock. 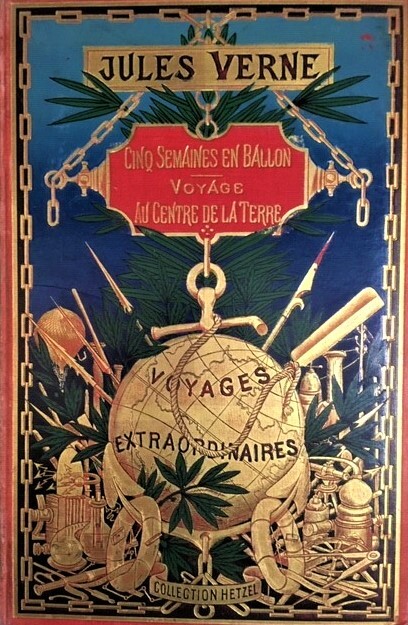 This is an edition of Jules Verne’s Cinq semaines en ballon which was published in the later years of the 19th century by the Hetzel firm of Paris. Finally, an example of a small press publication of the early 20th century. 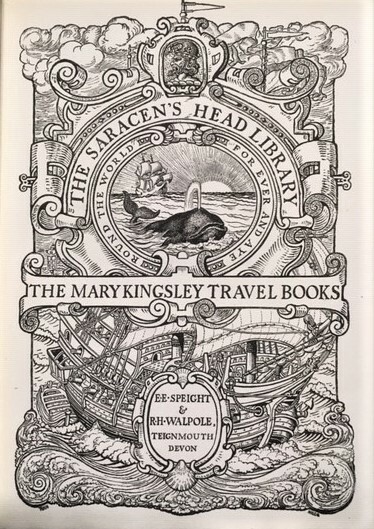 The edition of Richard Jobson’s The Golden Trade (Teignmouth, 1904) was intended as the first in the Saracen’s Head’s Mary Kingsley Travel Books series but appears to have been both the first and last book they issued. 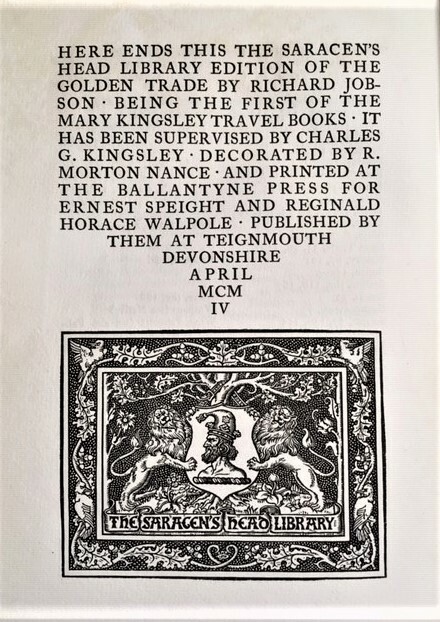 Printed on handmade paper and with a woodcut title page, it was published in a limited edition. Its bookplate reveals the broader book-collecting interests of Claude Montefiore, President of University College, Southampton, 1913-1934, whose Library, principally on the subjects of theology and philosophy, was donated to the College after his death in 1938. 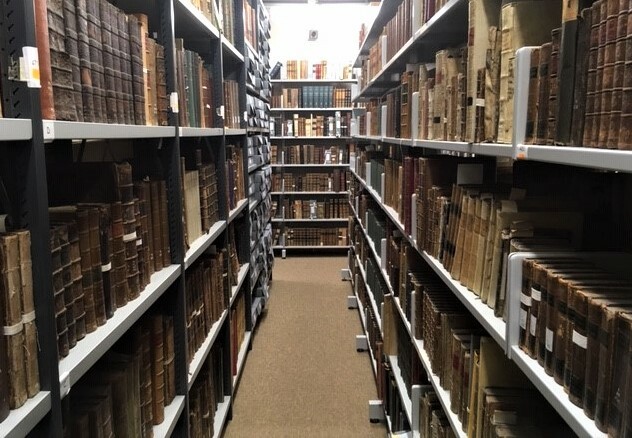 Although none of these books is of great financial value – the forgotten or previously unidentified treasure which features in news stories rarely makes an appearance – in telling something of the history of books and their use, they all have a place in Special Collections.